Congratulations! Your work has been selected to be a part of our APERTURES online gallery. We received entries from all over the world, the quality of work was incredible, including you own. We were inspired by the variety of the submissions and strength of the work and look forward to supporting the creative community for years to come. On behalf of the Cultural Center of Cape Cod, thank you again for allowing us to consider your work for the online exhibition. We wish you continuing success in your artistic endeavors. "Sleeping Beauty " is our winning image! 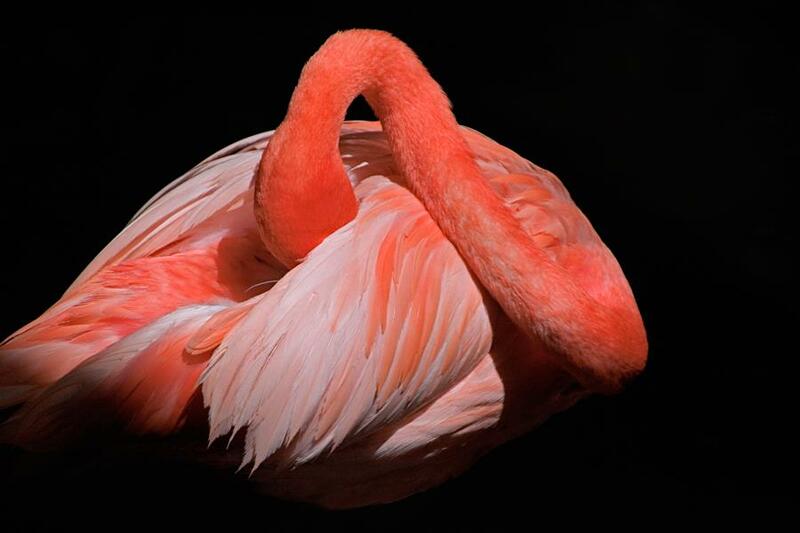 This colorful flamingo was captured in Homossasa, Florida. The sun was playing hide and seek with the clouds that day. It peeked out and lit up this napping bird, allowing for the perfect picture! The Cultural Center was opened in 2007 and is located in South Yarmouth, Massachusetts. Their motto is "All The Art for All of Us". Please visit their website. These images will be online indefinitely. Our "Sleeping Beauty" is available in table top to wall size, triple matted and with or without a frame. The matted versions are yours at a 10% discount and the framed matted versions in sizes 11x14 and larger can be yours at a 15% discount. The gallery is open for Saturday appointments. Call us at 904-387-8710 to schedule your special visit. Come see us and order now.